The Simpsons Movie may interest you. It offers several images and shots from The Simpsons Movie and configures it to be your screen saver. 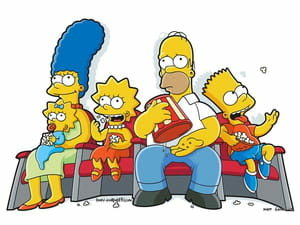 Screensaver: The Simpsons Movie can be used as screensaver and wallpaper. It differentiates from other software of its genre thanks to its being easy to use. To enjoy it, just install the application and it performs the rest. Customizable: The Simpsons Movie gives the possibility to users to configure parameters as needed. As an illustration, they can change the display order of characters on the scrolling screen. Interface: apart from the features mentioned above, The Simpsons Movie also has a clear interface that facilitates all actions. This software is lightweight and does not slow the PC. It is only available for the Mac OS X operating system. Latest update on November 20, 2016 at 03:02 PM.